The Star Wars film franchise will presumably go on for as long as we continue making movies, periodically reviving itself under the watch of its corporate masters, and joining the Super Bowl as the average American’s sole regular exposure to Roman numerals. But while the Star Wars machine will endure indefinitely, its human components have understandably human limits, and it sounds like one of the most iconic parts has finally reached his. 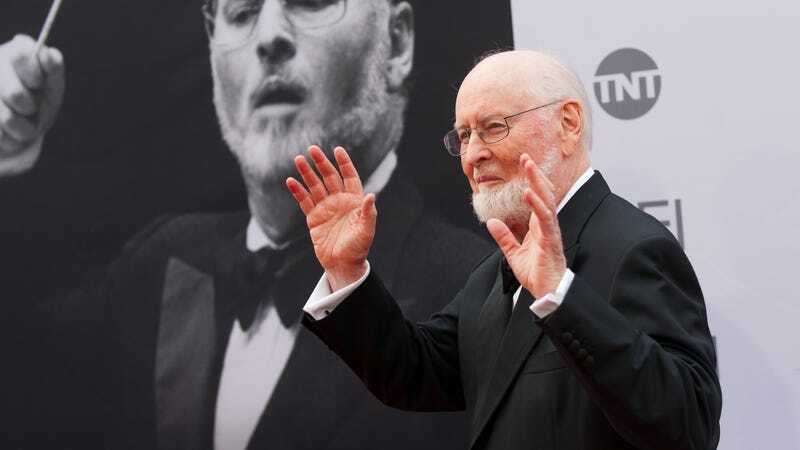 Composer John Williams—whose scores for the films have become as legendary as Luke Skywalker or Princess Leia themselves—has now said he’ll soon be finished with the franchise, just as soon as he finishes writing the music for the upcoming Episode IX. “We know J.J. Abrams is preparing one now that I will hopefully do next year for him,” Williams told a radio interviewer this week. “I look forward to it. It will round out a series of nine, that will be quite enough for me.” Williams—who once described most of his work on the franchise as “not very memorable,” which, tell that to the entirety of our childhoods, John—has written the music for all eight of the currently extant main-series Star Wars films (while his frequent franchise successor, Michael Giacchino, handled 2016's Rogue One). At 86, the multiple Oscar winner—who’s nominated for his work on The Last Jedi at this year’s Academy Awards—is presumably getting tired of knocking out a seemingly endless wave of instantly recognizable music that drills itself into the very heart of pop culture for decades on end, which does, now that we think about it, sound pretty dang exhausting.